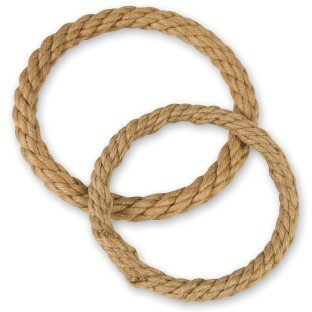 Jute Rope Covered Wreath, 10"
For a variety of projects. Decorative wreath shape made from natural jute rope wrapped around a steel ring base. Perfect for rustic, nautical and beach-themed projects. Embellish with shells, raffia, ribbon, flowers or natural found objects to personalize. 10” diameter. Pack of 3.